Homesick Texan Went and Did It Again. And By “It,” I Mean She Blew My Mind. There were many things I had hoped to do today. I wanted to attend the “Unveiling of the Four Little Girls Memorial” in Linn Park. I wanted to attend a reception at Pepper Place. I wanted to run some errands. I also wanted (and needed) to rest. Between running back and forth to the Georgia line to see my Dad who has been sick, cleaning our house every day because it happens to be on the market, taking care of a 22-month old, and experiencing LIFE (in general) each and every day, I decided that rest was the best option for me today. Rest, for me, often looks a little different because I equate “rest” with “cooking.” The husband and kid were settled (well, really unsettled from what I heard in the kitchen) in the living room watching the Alabama game. And I was cooking. I’ll go ahead and warn you that I went a little above and beyond today, but the end result was totally worth all the trouble. I have been craving the Homesick Texan’s Houston-Style Carnitas lately. 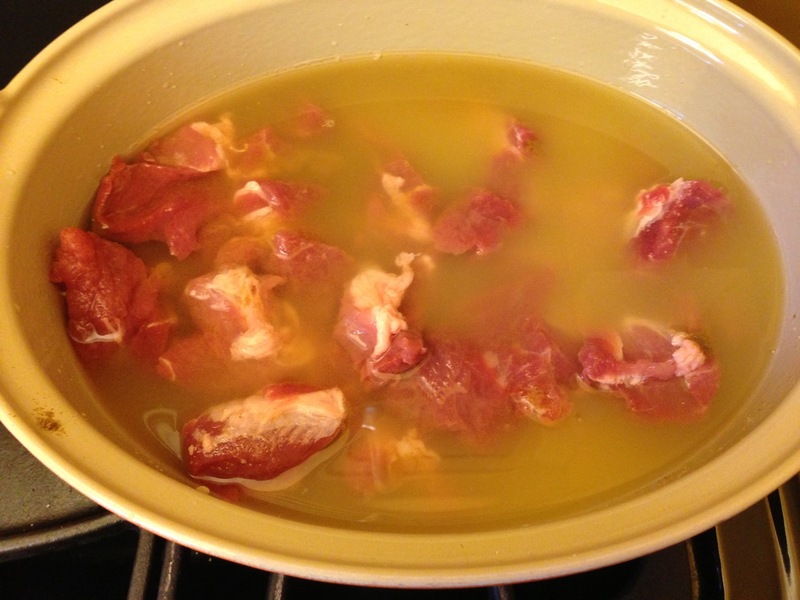 But then she went and posted a twist to those carnitas a couple of days ago and I was SOLD. The recipe is called “Chilorio, Mexican Pulled Pork” but a more accurate name would have been, “So Delicious My Face Hurts.” I didn’t switch the recipe up much at all. The main difference was the fact that I couldn’t find the guajillo peppers, so I just used ancho peppers. 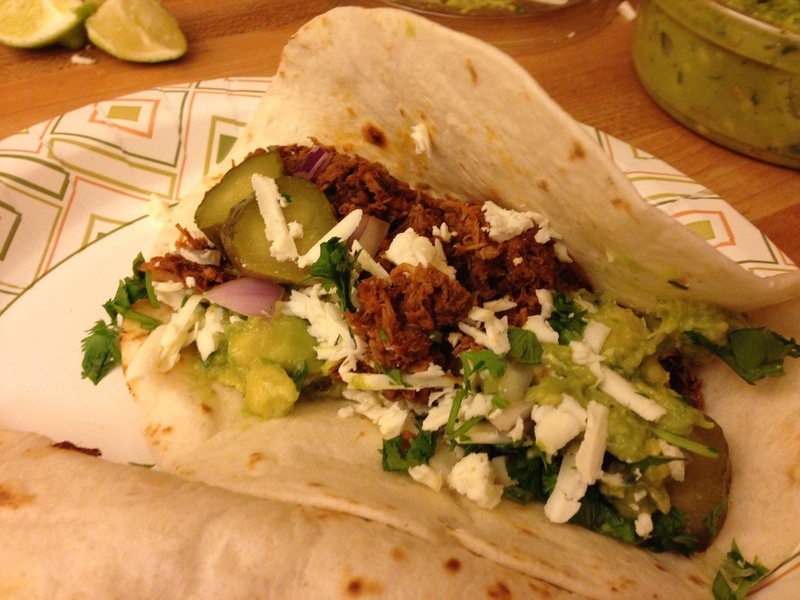 You can link directly to the recipe, by clicking here: Chilorio, Mexican Pulled Pork. How about some photos? Warning: the first one is a boiled meat shot, which is never attractive. But it is REAL, people. 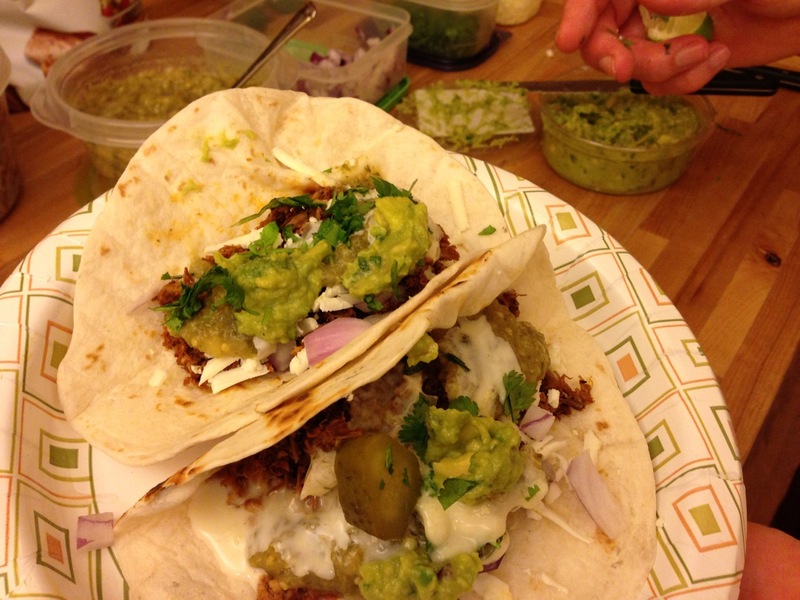 Here’s Mike’s taco. He loves a condiment. 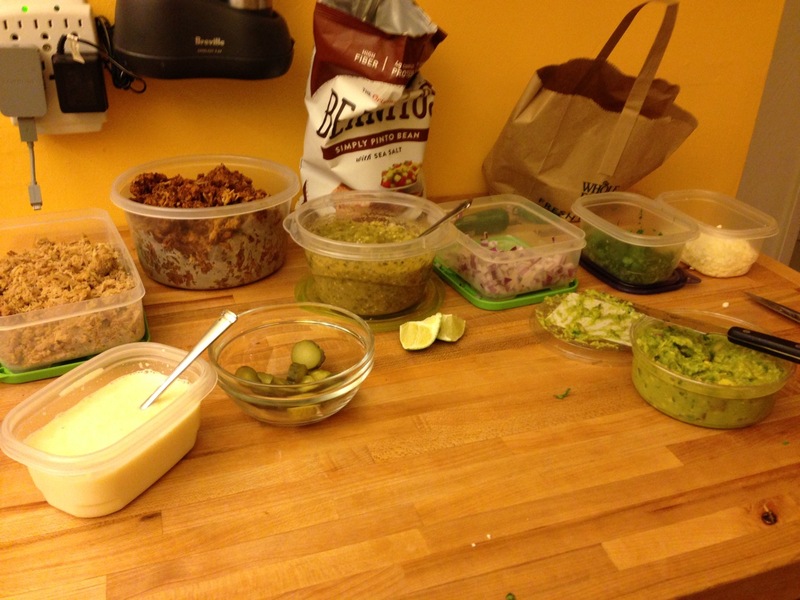 As a bonus, I also decided to make some of Tyler Florence’s Roasted Tomatillo Chile Salsa. It’s my absolute favorite and has never let me down. 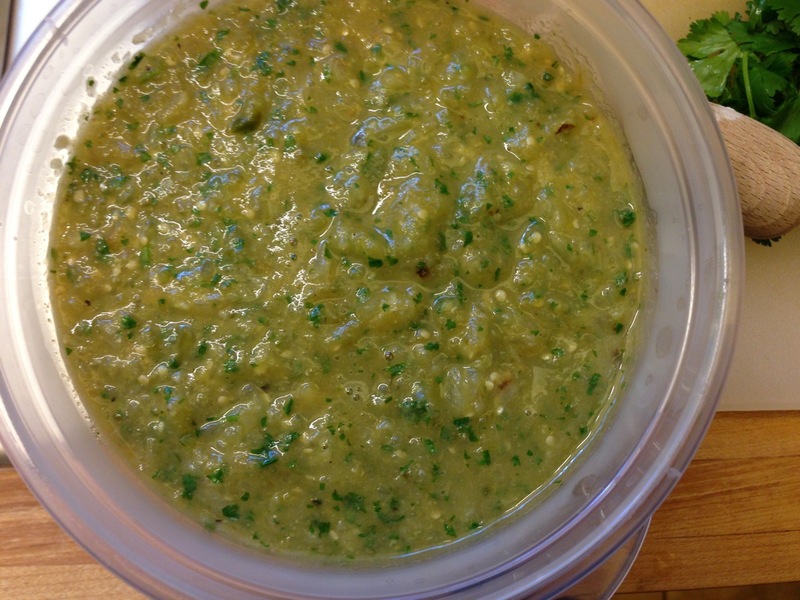 Here’s the link: Roasted Tomatillo Chile Salsa. 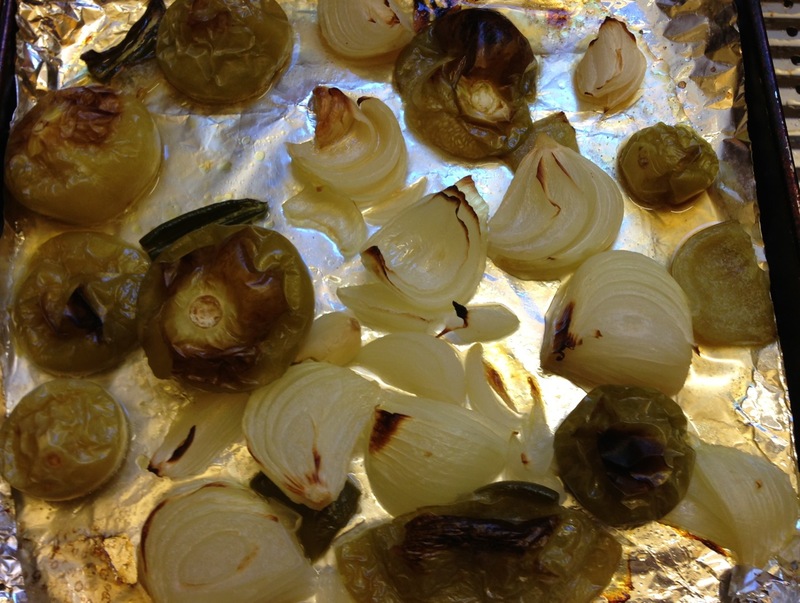 First, I roasted 1 lb of tomatillos, onions, garlic, and jalapeno peppers at 400 degrees for 15 or 20 minutes. Then I put all of the goodness pictured above (plus all of that juice on the bottom of the pan) in my food processor. 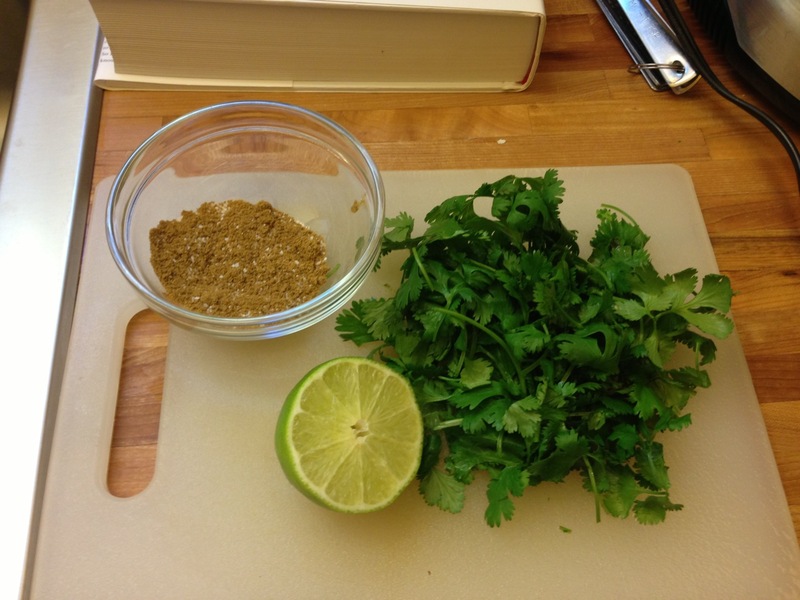 I added cumin, salt, cilantro, and half a lime. And this is what it looks like. Use it as a salsa on its own or add to tacos or enchiladas or anything else your heart desires. Yes, this dish requires effort. I promise it was worth it. I have plenty of extra meat for tacos throughout the week or even for salads. In fact, I bought some jicama because I’m going to try to recreate El Barrio’s salad this week. Wish me luck. Hope y’all enjoy. Hope y’all get some rest. And if football game days mean I can get in the kitchen and cook like this, then Roll Tide, Roll.